There are many excellent models of good practice across the world, however, the overall picture is still somewhat patchy and there is considerable scope for development. In many areas of the world children’s palliative care has a poor profile, is not seen as unique and separate from adult palliative care, and agencies must work hard to highlight the special needs of children. Before the birth of the ICPCN, many children’s palliative care services worked in isolation and found themselves reinventing what had been developed elsewhere. There was also an information gap about what existed and what was happening in other countries in relation to children’s hospice and palliative care. It is recognised that all children’s palliative care professionals face common experiences and that there are many opportunities for sharing information and providing support, as well as opportunities for mutual learning. We know from experience in the adult sector just how useful it is to look outside of our own context to what is happening in other countries and to engage with these activities. The ICPCN saw a global need to bring together all those who worked with life-limited or life-threatened children, and the founders of ICPCN wanted to ensure that this happened. 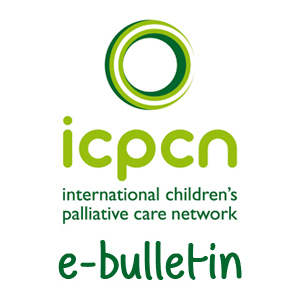 The International Children’s Palliative Care Network (ICPCN) was established to raise awareness of children’s palliative care across the world. The founding agencies believed that by coming together and forming an international network, the voices of children and young people with life-limiting and life-threatening conditions, and their families and carers, would be heard and acknowledged. We wanted to come together to campaign for the best quality of life for children and their families regardless of where they lived in the world. 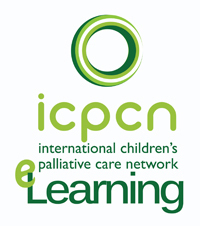 The impetus to establish ICPCN was born from a vision of wanting to raise awareness of the unique and specific palliative care needs of children and young people, and for these to be seen as distinct from adult palliative care. We wanted to develop a network that could share good practice and expertise, and enable agencies across the world to develop a range of dedicated children’s palliative care services, and develop a “one-stop-shop” for information about children’s palliative care. The momentum to take things forward came following an international seminar in The Hague, organised by Help the Hospices in early 2003. This event brought together for the first time representatives from over 50 national and regional hospice and palliative care associations, inter-governmental bodies, NGOs and major international funders of palliative care. One of the outcomes of this seminar was an agreement to set up a “virtual” global network to facilitate future working and information sharing within children’s palliative care. Children and adolescents with life-limiting conditions have very specific palliative care needs which are often different to those of adults. If these children and adolescent’s physical, emotional, social, spiritual and developmental needs are to be met, the carers require special knowledge and skills. We ask that the voice of these children and adolescents is heard, respected and acknowledged as part of the expression of hospice and palliative care worldwide. In 2005 ICPCN was founded under the auspices of ACT* in the UK, as a collaborative partnership. South Africa was chosen as the headquarters of the ICPCN. At the end of 2007, with generous funding from The True Colours Trust, ICPCN’s first website was launched and an International Information Officer was employed. Originally hosted by the Hospice Palliative Care Association of South Africa (HPCA), ICPCN became a fully independent organisation in 2011 when it was registered as a charity and a company in England and Wales. At this time a Board of Trustees was appointed to oversee the governance of the organisation. *ACT has since joined with Children’s Hospices UK to form ‘Together for Short Lives’. The impetus to establish ICPCN was born from a desire to raise awareness of the unique and specific palliative care needs of babies, children and young people and for these to be seen as distinct from adult palliative care. The organisation’s founders wanted to develop a network that could share good practice and expertise and enable agencies across the world to develop a range of dedicated children’s palliative care services. The initial concept for the network is realised at a global palliative care event held in Seoul, South Korea in March 2005, when a group of individuals representing children’s palliative care around the world begins to meet as the Steering Group of ICPCN. South Africa is chosen as the headquarters with Joan Marston elected as Chair and Barbara Gelb and Lizzie Chambers as Vice Chairs. 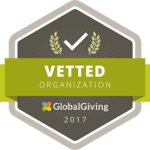 A more representative international Steering Group is established with the addition of members from the United States, Canada, Argentina, Romania, Belarus, Australasia, Uganda and India. The first 3 year strategic plan is developed. Seed funding from The True Colours Trust sees the launch of the ICPCN website and Sue Boucher employed as the International Information Officer. Free online membership is offered to individuals and organisations. Operating under the charity registration of the Worldwide Palliative Care Alliance (now WHPCA), the Information Officer’s post is hosted by the Hospice Palliative Care Association of South Africa. 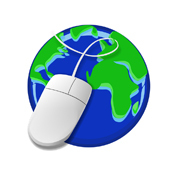 Networking and the addition of organisations to the website directory begins to provide the basis for mapping of available children’s palliative care services worldwide. October of this year sees the publication of The ICPCN Charter setting out the international standard of support that is the right of all children living with life limiting or life threatening conditions and their families. The Charter has since been translated into 25 languages. In partnership with Children’s Hospice International (CHI) ICPCN brings the first international congress on children’s palliative care to Africa. The congress, held in Cape Town, South Africa, inspires The ICPCN Declaration of Cape Town which calls upon the palliative care community to collaborate and share resources and knowledge to advance children’s palliative care globally. Under ICPCN leadership The Beacon Project is launched with funding from The Diana Princess of Wales Memorial Fund. This project’s focus is on the development of children’s palliative care and relevant education in South Africa, Tanzania and Uganda and leads to the development of a 6 month diploma course in children’s palliative care, now available through Mildmay Uganda. ICPCN partners with Cardiff University for the 5th International Cardiff Paediatric Palliative Care Congress in Wales and work continues on the Beacon project developing short courses on palliative care for children in South Africa, Tanzania and Uganda and a Fact Book on children’s palliative care in South Africa is published. In October of this year the UK Department of International Development (DFID) approves a proposal submitted by Help the Hospices to work with ICPCN to improve access to palliative care for children in Malawi and the Maharashtra District of India, over a five year period. ICPCN is appointed as the co-ordinating body to enhance support in the development of children’s palliative care programmes in these two countries. The ICPCN Scientific Committee is constituted with members representing a diversity of professions and regions from around the world. Prof Susan Fowler-Kerry is elected as committee Chair. ICPCN is registered as a charity in England and Wales. The Steering Group is dissolved and a Board of Trustees appointed, chaired by Barbara Gelb and Lizzie Chambers. Joan Marston is appointed as Chief Executive of ICPCN; a part time administrative officer employed and Prof Julia Downing appointed as a consultant to lead on research and education. October sees the publication of Touching Rainbows: Acknowledging the Child’s Voice in Palliative Care giving a voice to children and their families from across the world whose lives had been touched by the provision of children’s palliative care. Sister Frances Dominica, founder of the world’s first children’s hospice, becomes ICPCN’s first patron. In partnership with the Kenya Hospice and Palliative Care Association, ICPCN provides the first ever in-country training in children’s palliative care to 42 paediatricians, doctors and nurses, leading to the opening of the very first children’s palliative care unit in Garissa, Kenya. Launch of the pilot ICPCN e-learning programme on pain management in children linking to the newly published WHO guidelines for persisting pain in children. A systematic review of children’s palliative care provision around the world reveals that 65.6% of countries have no known children’s palliative care activities, 18.8% have capacity building activities, 9.9% have localised provision, and only 5.7% of countries have provision reaching integration with mainstream providers. ICPCN staff complement grows. Barbara Steel is appointed as full time Admin and Finance officer and Busi Nkosi as the Advocacy Officer. ICPCN leads a 4 day master class on children’s palliative care for over 50 doctors and health professionals in São Paulo, Brazil. A Delphi study is completed on priorities for global research into children’s palliative care. Training in children’s palliative care is provided to health professionals in Kenya and Swaziland. 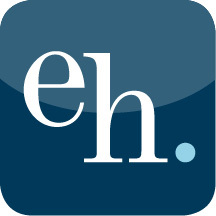 ehospice, a free website and app that reports global news and intelligence on hospice and palliative care, is launched. The International Children’s edition is edited by ICPCN. ICPCN advocates to the World Health Assembly for the development of children’s palliative care services, the provision of appropriate pain medications in formulas for children and the training of relevant service providers. Ground breaking research project completed in partnership with UNICEF provides an analysis of the need for children’s palliative care in South Africa, Kenya and Malawi. ICPCN provides training to health professionals in Sudan, South Africa, Indonesia, Serbia, Russia and Swaziland and a training of trainers course in Zambia. Launch of an updated ICPCN e-learning website with modules available in English, French, Russian, Serbian and Spanish. Working with the Indian Association of Palliative Care, three sites for children’s palliative care are set up through the two country project in Sion in Mumbai, Jawhar and Kalamboli. In association with the Palliative Care Association of Malawi, three sites for children’s palliative care are set up in Kamuzu in Lilongwe, Mazuzu in the north, and Zomba in the south. The 1st ICPCN International Conference held in Mumbai, India in association with the Tata Memorial Centre. The conference theme Transforming children’s palliative care – from ideas to action looks at ways to transform theories into practice to improve the lives of children with palliative care needs around the world. This hugely successful conference is attended by delegates representing 38 countries. Issued at the end of the conference, the ICPCN Mumbai Declaration calls on governments to develop children’s palliative care services and urges the Belgian government to reconsider their ruling on the euthanasia of children. ICPCN promotes and ensures the inclusion of children in the wording of a landmark resolution to develop, strengthen and implement palliative care policies that is subsequently passed at the 67th World Health Assembly in Geneva. Work continues with Moonshine Movies on a project to produce the Little Stars series of short films and a feature length film on children’s palliative care in 8 countries around the world. A 2 week training of trainers in children’s palliative care takes place in Namibia and training on children’s palliative care is provided in Serbia and Malaysia. Part time Media and Marketing Officer, Lorna Sithole, is employed to work on increased awareness of palliative care for children through marketing strategies. A new research project is launched to identify the need for children’s palliative care in India and Malawi. The official launch of the NOW campaign for children with life-limiting conditions project in celebration of 10 years of successful advocacy and support for the development of children’s palliative care training and services worldwide. The launch is held at the Asia Pacific Hospice Conference in Taipei at the first screening of the hour long Little Stars documentary. Pope Francis gives his blessing on the ICPCN NOW campaign sending the members of the network his best wishes for the occasion while encouraging our continued efforts on behalf of the children in need of palliative care. The ICPCN held its second international conference on children’s palliative care in Buenos Aires, Argentina, from the 18th-21st May 2016. The theme of the conference was ‘Children’s Palliative Care…. Now!’ emphasising the need of palliative care for children now, as the future will be too late for many of them. Six pre-conference workshops were held on the 18th May, addressing issues connected to pain assessment and management, adolescent palliative care, ethics and decision making, developing programmes, the basics of children’s palliative care and hidden aspects of children’s palliative care. The conference brought together 410 participants from 40 countries. Plenary, concurrent and poster presentations covered issues around the status of children’s palliative care, genetics, perinatal and neonatal palliative care, the impact of children’s palliative care and the experiences of parents and volunteers, palliative care as a human right, education in children’s palliative care, managing complex pain in children, spiritual care and when to initiate palliative care. The ‘Big Debate’ explored issues around decision making and end of life care in children, and gave participants the opportunity to explore a sensitive and thought provoking topic. At the end of the conference delegates were urged to sign the Commitment of Buenos Aires which called for governments to implement the WHA resolution and ensure access to palliative care for neonates, children and their families, and also commits us as palliative care providers to share all that we can and collaborate with each other to achieve our global vision of palliative care for all children who need it. The conference highlighted the ongoing issues in children’s palliative care and participants were continually challenged to ensure that children can access palliative care NOW. The ICPCN ‘Just One Thing’ campaign is launched at the conference. ICPCN held its third annual ‘Hats On 4 Children’s Palliative Care Day’ on 14 October. The day proved extremely successful with participation from around the world. After almost 9 years at the helm of the ICPCN, first as the Chair of the Steering Group and then as Chief Executive of the organisation, Joan Marston, retired on 31 October 2016. Professor Julia Downing becomes the new Chief Executive of the ICPCN on 1 November 2016. Research commissioned by ICPCN is published in the Journal of Pain and Symptom Management, Vol. 55 No. 2 February 2017 which estimates that 21 million children globally need palliative care. ICPCN Board Member, Lyn Gould, receives an MBE for her services to the provision of palliative care to babies and infants in China. Healthcare professionals in Lesotho trained in children’s palliative care by ICPCN in collaboration with the Lesotho Ministry of Health (MoH) and a CPC service is launched in that country. Sabine Kraft, Chair of ICPCN Board of Trustees hosts a meeting in Berlin of key individuals from Eastern Europe working in CPC to move the field forward in that region. ICPCN participates in the first meeting of leaders and experts in CPC research to introduce Cochrane methods and the Cochrane review process to the CPC community. ICPCN provides training to medical professionals in the Czech Republic as part of a strategic plan of the national association to develop CPC services in that country. Alex Daniels is appointed first as a consultant and then in a permanent capacity as ‘Education Officer’ for ICPCN. ICPCN holds its fourth and most successful to date ‘Hats On 4 CPC‘ campaign. Camboni College of Science and Technology, Khartoum, Sudan. and under the Patronage of Her Highness Sheilkha Jawaker Bint Mohammed Al Qasimi. children’s hospice, in Stuttgart, Austria. Mumbai and in Delhi, India. Care in New Delhi, India. ICPCN holds a successful conference in Durban, South Africa. The 3rd ICPCN Conference with the theme Inspiration, Innovation, Integration hosted delegates from over 140 countries. ICPCN provides face to face training and a Train the Trainers course to doctors, paediatricians and other members of the MDT in Prague, Czech Republic. ICPCN coordinates training to medical professionals in Moldova, Eastern Europe.